Potted Potter, the West End and New York smash hit play, will have its Manila run at at the Carlos P. Romulo Auditorium on August 28-September 2, 2012 with only 10 limited shows. Potted Potter takes on the ultimate challenge of condensing all seven Harry Potter books (and a real life game of Quidditch) into seventy hilarious minutes. This fantastically funny show features all your favourite characters, a special appearance from a fire-breathing dragon, endless costumes, brilliant songs, ridiculous props and a generous helping of Hogwarts magic. Carlos P. Romulo Auditorium is located at the RCBC Plaza, Ayala Avenue in Makati City. 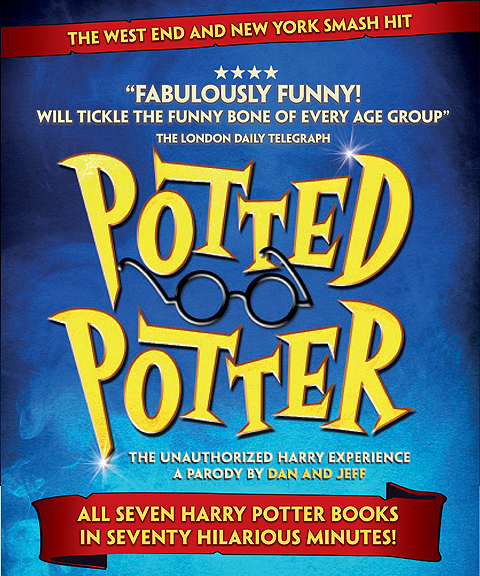 Potted Potter is a 2012 Olivier Award Nominee as Best Entertainment & Family Show. Created by double Olivier Award Best Entertainment nominees Daniel Clarkson and Jefferson Turner, the show is a must-see for Potter addicts and a great introduction to the series for anyone who’s ever wondered what all the fuss is about. Even if you don’t know the difference between a Horcrux and Hufflepuff, Potted Potter will make you roar with laughter. All three Potted shows (Potted Panto, Potted Potter and Potted Pirates) have earned widespread acclaim and a fan base that crosses generations. Potted Potter played five sold-out Fringe seasons in Edinburgh, five sold-out London runs and extensive UK and international tours.